We’re two days from the start of the 2018 National League Championship Series, so what better way to spend that time than looking at the Dodgers who are arbitration-eligible this winter and what they might make in the process? Right? Right. If the Dodgers tendered all the players above at the salary listed, that’d be a $45.4 million commitment. With a potential 40-man roster crunch coming, there are more non-tender candidates than normal. Of course, those players could be traded before the tender deadline (or after, if they’re tendered a contract), but we’ll get into that after the season. 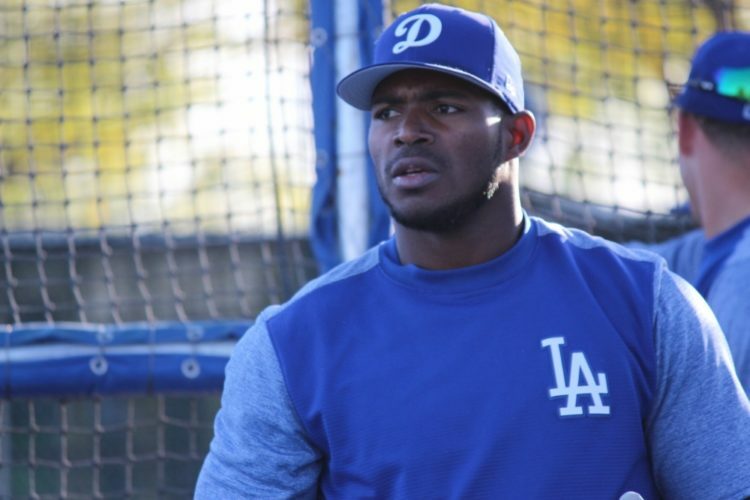 Puig is going to earn his biggest single-season pay day in his last (and only) year of arbitration. Wood is set to get a nice raise in his last year before free agency (and could be a prime trade candidate, if the Dodgers want to entertain such an option). Pederson is starting to get a little pricey, but he had a nice rebound in 2018 after struggling in 2017. Hernandez and Taylor — two of the team’s most valuable and versatile players, are set to see their salaries increase significantly next season. Taylor’s $3.2 million is a bit eye-opening for a first-time arbitration guy, despite not having the prettiest of stat lines. Speaking of first-timers, Seager’s $2.6 million would undoubtedly be higher if he didn’t miss the vast majority of the 2018 season after Tommy John surgery. Finally, Baez continues to be a bit underpaid in this process. Some of the non-tender candidates are pretty obvious — Fields, Cingrani, Koehler, Garcia, Goeddel and Rosscup. It’s no coincidence that all are relief pitchers because they are the most fungible players on a baseball roster. The easy non-tenders for me are Fields, Koehler, Goeddel and Rosscup. Fields, set to make nearly $3 million, is the most obvious for me. He hasn’t been what the Dodgers were hoping since acquiring him from Houston in 2015 and that money can be allocated a lot more efficiently. The only thing playing in his favor is the fact he has one option remaining, so the Dodgers could retain him and use that option liberally. Koehler missed the entire season after undergoing two shoulder surgeries. If the Dodgers want him back, they’ll likely be able to get him on a minor-league deal. Goeddel and Rosscup are out of options and could be in the same situation as Koehler (MiLB deal). Goeddel might get an MLB deal elsewhere, as long as he’s healthy. Cingrani is a guy I would keep based solely on his upside. He could be worth the $2.7 million gamble, especially if some of the other guys are non-tendered. His shoulder issues in 2018 are a bit concerning, but here’s hoping an offseason of rest and rehab get him back closer to the guys he was in the second half of 2017. Garcia is an interesting one. He has really good stuff, but he hasn’t looked nearly like the guy he was before TJ surgery. Garcia has one option remaining and isn’t set to make a ton, so it’s possible the Dodgers could retain him and hope he can regain his old form. If he doesn’t, they could always stash him in Triple-A or designate him for assignment, should they need the roster spot during the 2019 season. Don’t be surprised if Fields, Koehler, Goeddel, Garcia (even if I would keep him around) and Rosscup are all shown the door after the season and replaced with younger, cheaper options. Fields and Goeddel probably latch on elsewhere — probably on MLB deals. Koehler and Rosscup are MiLB-deal candidates. If Koehler’s shoulder is fully healed, I could see the Dodgers wanting to take another flyer on him. Non-tendering all five of these guys would save the Dodgers a projected $7.3 million of that $45.4 million figure. The Dodgers might need to add as many as seven players to the 40-man roster to protect them from the Rule 5 Draft this December, and we’ll get into those details following the season. 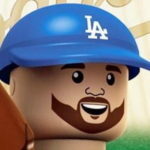 So if the Dodgers could open up some spots by letting go of some fringe MLB relievers, that very well might be the play. And with the luxury tax not being an issue this winter, any guys who have significant trade value will be tendered.